Shacknews recently had a chance to pick up a handful of games set to hit Nintendo platforms over the next couple of months, including Xenoblade Chronicles 2, Fire Emblem Warriors, Mario Party: The Top 100, and Rocket League. Nintendo is gearing up for the holiday season across both of its major platforms: The Nintendo Switch and the Nintendo 3DS. Of course, Super Mario Odyssey is set to come out next Friday, October 27 and Shacknews recently got to check that out last week. Earlier this week, however, Shacknews had a chance to try out a handful of other games set to come to Nintendo's platforms. Here are some quick hit impressions on those titles. The Dynasty Warriors formula can be a lot of fun in small doses. Sometimes, the urge is just there to wipe out enemy soldiers by the hundreds. Nintendo first tapped into this hunger with Hyrule Warriors to heavy praise. Now it's time to look at one of Nintendo's other medieval sword and sorcery franchises, Fire Emblem. Fire Emblem Warriors plays similarly to the Hyrule Warriors and any other Dynasty Warriors game, with players utilizing strikes and combos to send enemies tumbling by the dozen. 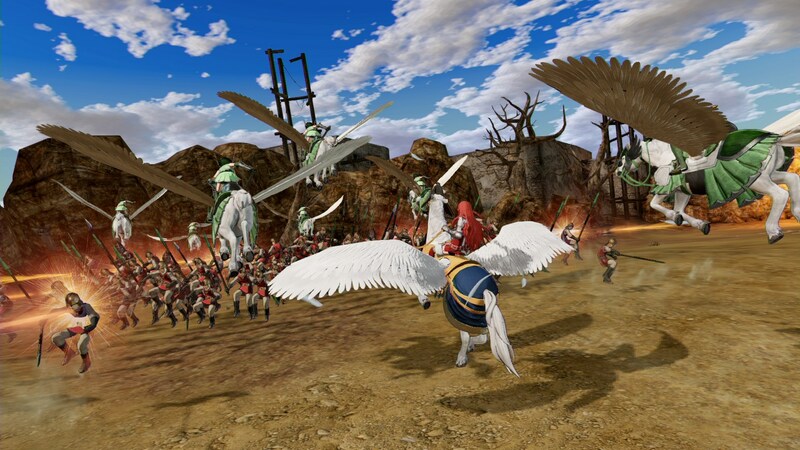 Familiar Fire Emblem characters show up, some as allies and others like adversaries. This particular demo ended with a confrontation with Corrin, who was flanked by hundreds of allies. It's a novelty itch, but nothing out of this hands-on seemed to indicate much depth. It didn't feel like anything I hadn't already gotten out of Hyrule Warriors. But for Fire Emblem fans, Fire Emblem Warriors is set to release this coming Friday, October 20 on Nintendo Switch (and also on Nintendo 3DS). Rocket League fans should know what they're in for with the Nintendo Switch version. It's the same motorized soccer action that's been delighting PlayStation and PC owners for years. That's definitely not a bad thing. It's still the same adrenaline-fueled action as the other platforms and scoring a goal off a nitro boost is still just as thrilling as ever. 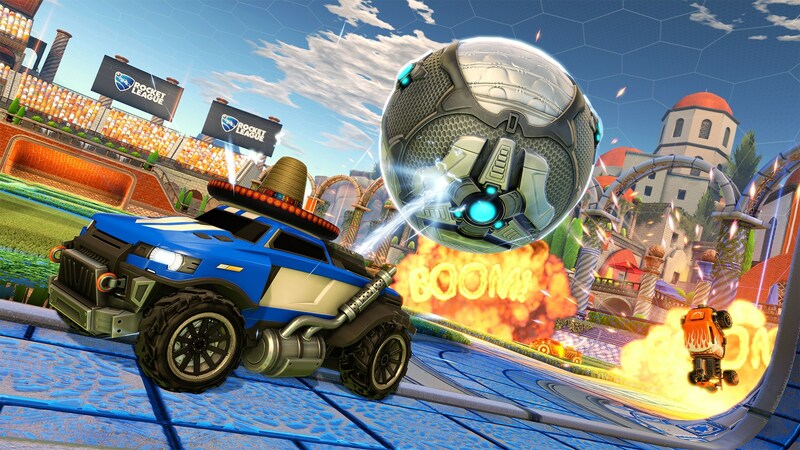 So what's different about the Nintendo Switch version of the Psyonix hit? The biggest feature is the Switch itself, allowing players to take Rocket League along on the go. For the purposes of this demo, I was able to try it out in handheld mode, noticing no loss of graphical fidelity or performance hitches. While Psyonix had previously pointed to graphical tweaks, I certainly didn't notice any during my time with the game. It played just fine and being able to take Rocket League along with me anywhere for local multiplayer action is a tantalizing proposition. Add the idea of crossplay and there's plenty of reason to buy another version of this game. Rocket League is scheduled for a holiday release on the Switch. Mario Party: The Top 100 is a collection of Mario Party mini-games without the filler. There were few duds I encountered in my hands-on time with this collection, leaving only the best mini-games from Mario Party's ten main titles. My sole issue here is that most of the "party" element has been taken out. There are no traditional Mario Party boards to play with here. There's a mode where players can tread across board game-style worlds, designed in straight lines and meant to go through each mini-game one-by-one. There's another mode where there's a game board, designed closer to a traditional Mario Party game, where everybody moves simultaneously in an effort to grab Stars. However, the real estate on this board is cramped and doesn't leave much to the imagination. The fun looks to be solely in the mini-games this time around. And the mini-games are fun, especially with other people. Those looking for a traditional Mario Party experience may find themselves wanting with this game, but those looking to mess around with the series' best mini-games will find what they're looking for. 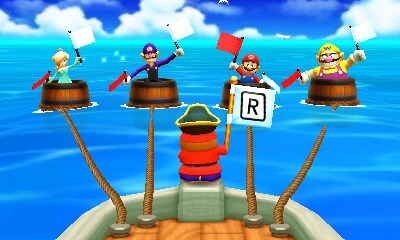 Mario Party: The Top 100 comes to Nintendo 3DS on November 10. Let's go back in time a couple of years ago. Xenoblade Chronicles X was an insanely overlooked gem on the Wii U. It was largely left off many Game of the Year conversations, mainly because the game was a 100+ hour affair that released at the beginning of December. Snap back to reality and, whoops, it looks like another Xenoblade Chronicles game is set to offer those same kind of thrills... and also release at the start of December. And make no mistake, Xenoblade Chronicles 2 looks amazing. The worlds are every bit as vast as they were in the Wii U version, the enemies look just as imposing as ever, and the combat looks to have been refined. Parties would fight together, able to hit hard with their normal attacks, but also able to set up special moves with well-timed strikes and by working in conjunction with CPU-controlled partners. Pulling off these special moves would trigger unique animation sequences, in which players would watch their damage multipliers escalate before their characters pulled off an explosive finale. The thing is, all of this fanfare was just to defeat a single run-of-the-mill rhino in the wild. And just like in Xenoblade Chronicles X, it looks like even the average enemy can assert total dominance in the opening hours of this game. 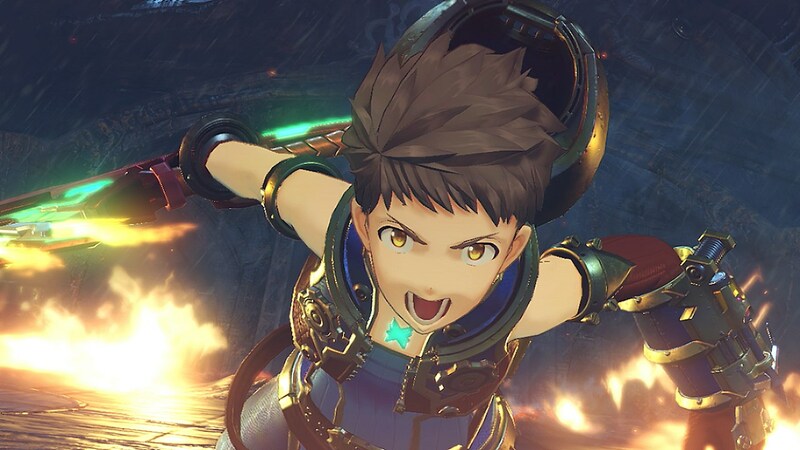 If Xenoblade Chronicles 2 takes as long to get into as its predecessor, there's a chance it could turn off more impatient adventurers. But remember that once Xenoblade Chronicles gets going, it goes! It is a fun ride once it gets started and that looks to be the same case with this new Nintendo Switch version. I've merely scratched the surface of what the Xenoblade Chronicles 2 experience will entail, so let's wait together to see what the rest of the game will feature. Xenoblade Chronicles 2 will come to Nintendo Switch on December 1. Same. I just want Chronicles and Chronicles X to come to the Switch as well and I'll be simply nerdgasm heaven.